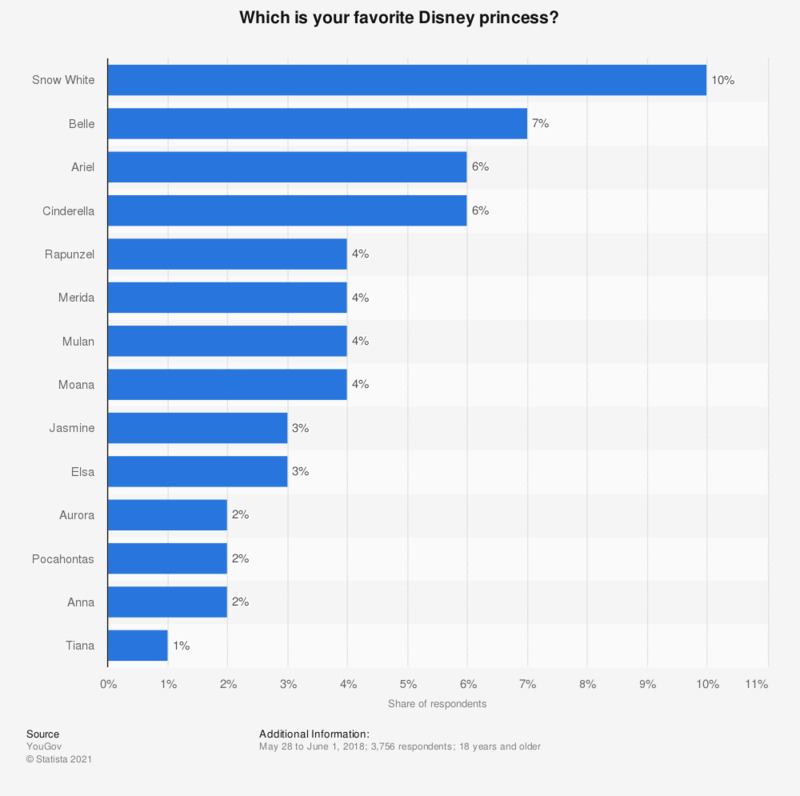 This statistic shows the results of a survey on the most popular Disney princesses in Great Britain as of May 2018. The survey found that Snow White was Britain's most loved Disney princess with one out of ten British adults choosing her as their favorite. Belle and Ariel were second and third most popular at six and seven percent.